Set to orchestrated extracts of J.S. Bach's enigmatic final musical work, brought together an 18th-century work of great invention and Wayne McGregor's pioneering 21st-century choreography. 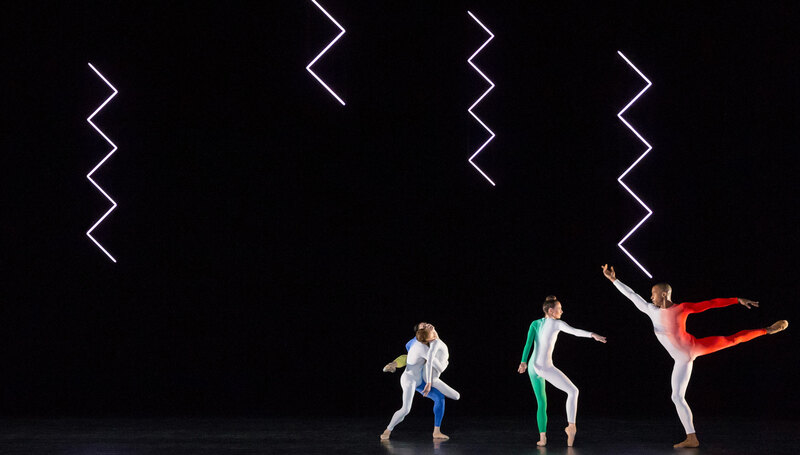 American visual artist Tauba Auerbach collaborated with McGregor for Tetractys, creating set and costume designs. Auerbach is best known for her paintings but also works in a variety of media, including sculpture and weaving; her work is particularly striking for the way it addresses principles of mathematics, physics, language and logic. Together, she and McGregor selected J.S. Bach's The Art of Fugue, which was arranged for the ballet by Michael Berkeley. Commissioned by The Royal Ballet. Supported by outset., in partnership with The Luxury Collection with generous philanthropic support from David Hancock, Linda and Philip Harley and two anonymous donors. 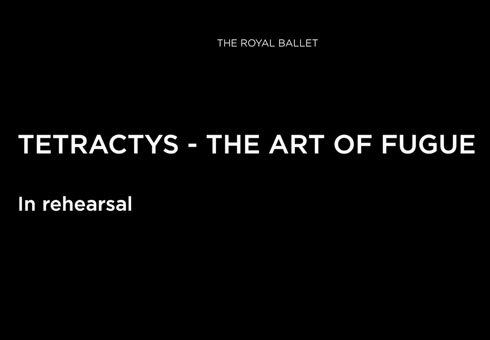 Rehearsal footage of Tetractys at The Royal Opera House.